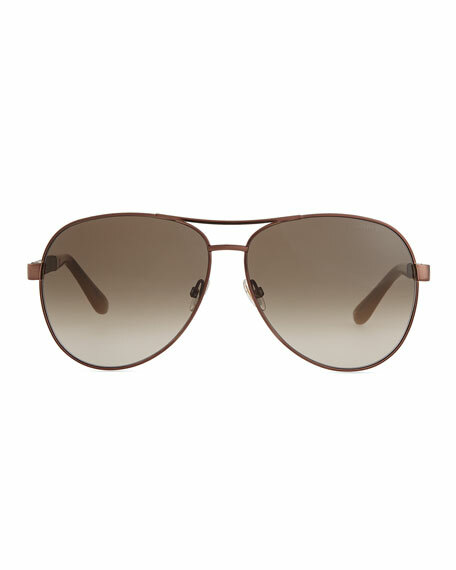 Lexi aviator sunglasses by Jimmy Choo. Shimmery arms with enamel ear pieces. Gradient lenses with logo on left brow.